Happy Wedding Anniversary, Katelyn + Andrew! Ohh Katelyn and Andrew!! It's their first year anniversary today, and yay for this precious couple! I absolutely loved working with these guys. Such good, good souls! They were blessed by a beautiful December day, complete with a soft white blanket of snow that had fallen a few days prior...and perfect golden sunrays - YES YES YES. I loved their first look - Andrew was so taken aback by Katelyn's beauty that he couldn't even look at her!! Moments like that you guys, there are just no words! The remainder of their bride+groom portraits that we did out in the snow - (which, by the way, mega kudos to these guys for braving that cold day!) - these portraits are some of my absolute favorite I've ever taken! 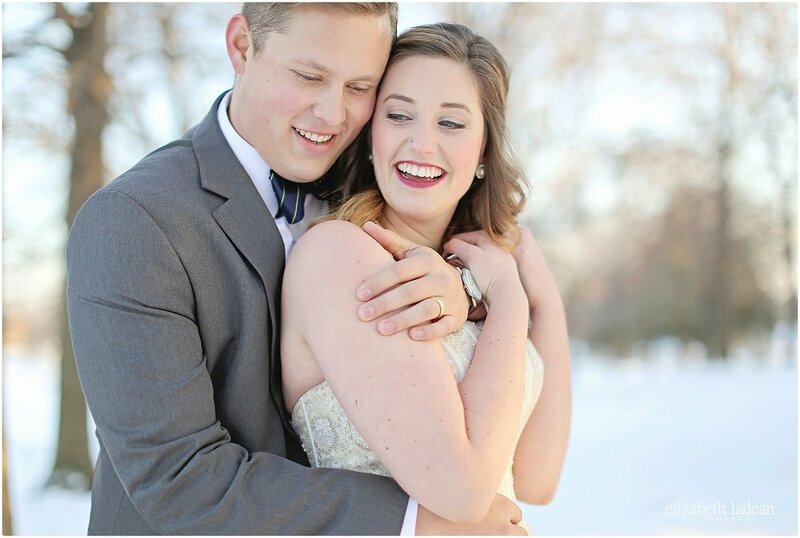 K+A were just wonderful to photograph, and their love for one another was practically tangible! See Katelyn + Andrew's Wedding Day story and more photos!